Employers report payroll by calculating gross monthly wage earnings and various payroll deductions to arrive at net pay. To calculate net pay, take the employee’s gross pay (pay rate times hours worked) and subtract statutory and voluntary payroll tax deductions. It seems simple but it’s easy to miss the small details. There are many labor laws weaved into payroll tax. For example, wage deductions for health insurance coverage may constitute employee contributions to an employer-sponsored group health plan. Such plan is subject to the reporting, disclosure, fiduciary, enforcement and other provisions of the Employee Retirement Income Security Act of 1974 (ERISA). Because of all that goes into processing payroll taxes, some employers choose to outsource payroll to a payroll company or PEO. Here is an example scenario and the steps required with or without outsourcing payroll taxes. ABC Company is ready to hire employees and wants to know how much federal income tax to withhold and where to send the money. Have each employee complete a Form W-4 to choose their withholding allowances. Use the IRS Employer’s Tax Guide to determine the amount of withholding and the directions for depositing what’s withheld. Learn whether Form 941, a quarterly federal tax return, or Form 944, an annual return, is required based on business size (monthly or semi-weekly deposits may be required as well). Provide a copy of Form W-2 to each employee. If ABC partners with a payroll processing company or PEO, then steps two through six are handled by the partner company. One of the ways FrankCrum, a Florida-based PEO, adds additional value, is by providing clients with a dedicated Payroll Coordinator. The Payroll Coordinator becomes the point person for everything related to payroll, and often acts as a liaison between one or multiple departments. The same Payroll Coordinators work with the same clients during every payroll cycle. Therefore, they get to learn how their clients operate their businesses and can adapt payroll strategies to better serve them. 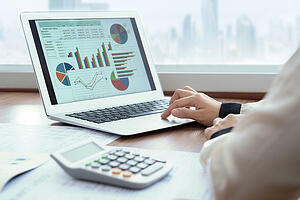 Here are two ways Payroll Coordinators help clients process payroll. Whether you have questions about a tax rate, filing status or state unemployment tax, FrankCrum can help. Call 800-277-1620 to learn more about FrankCrum’s comprehensive payroll tax solutions. 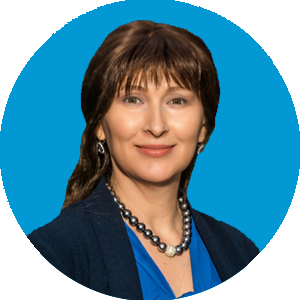 Tatiana is the Tax & Unemployment Manager at FrankCrum and holds a Master of Accountancy degree. She has been with FrankCrum since 2004 and oversees unemployment claims, wage garnishments and tax administration. When she’s not working, Tatiana enjoys traveling, reading and growing plants.